Robert lived at 21 May Court, Alexandra Place, Inverness. He enlisted on 13th November 1911. On 14th August 1914 he entered the war in France, as part of the 4th Bn. Middlesex Regiment, Regimental Medical Officer's team. His name is on a list of R.A.M.C. personnel taken prisoner of war up to & including 31st December 1914 [List kindly provided by Steve Mattocks]. 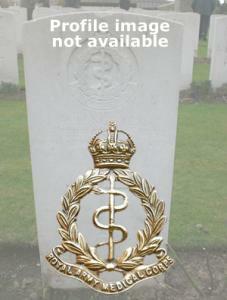 He was repatriated on 17th February 1915, and was discharged from the colours 'unfit' on 31st March 1915.